Many talented people render their service in this division of the Federal Ministry of Defence. We value the diverse experience and qualifications of our employees. Our aim is to develop this potential through all stages of life, while ensuring equal opportunities. We set store by the advancement of gender balance in leadership positions. Diversity, that is a mix of talent and skills, is valuable in itself – and an opportunity for the Armed Forces – the Bundeswehr. 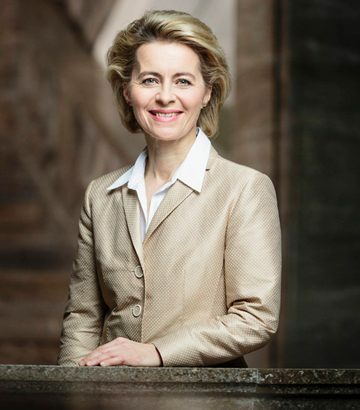 In 2012, the Bundeswehr committed itself to diversity management when it signed up to the Charter for Diversity. The diversity of the Bundeswehr and its members is firmly anchored in the White Paper 2016 and, more recently, in the new personnel strategy. In its efforts to live up to these aspirations, the Bundeswehr is adopting modern and pragmatic approaches. For instance, aside from valuing the suitability, skills, and professional record of employees, attention is increasingly placed on the socio-cultural background and the associated wealth of experience. Measures to increase appeal: Career opportunities for employees with family duties through specific local solutions, including measures in the fields of “family-service balance” (e.g., childcare) and “autonomous work” (e.g., flexible working models in terms of time and place). Personnel talks before and after parental leave to agree on, and enable, future career steps that are sustainable and strike a balance between family and service to the extent possible. How does the commitment to the Chefsache initiative fit with our activities? At the Bundeswehr too: equal opportunities are top priority. As one of Germany’s largest public-sector employers, we are actively contributing to shaping change in the working world and in society through the measures outlined above. This is consistent with the overarching policy to contribute to a fairer and progressive society through gender balance and modern role models. Moreover, we are making people and individual talents the focal point of our organization.